Zest were asked to deliver a cocktail drinks reception, whiskey bar and a full drinks service for an elegant wedding at The Queens Hotel, Leeds. We installed a seven metre silver mirror elegance bar in the drinks reception room. Here we had cocktail mixologists shaking up Lychee Martini’s, Passionfruit Mojito’s, Miss American Pie’s and Cosmopolitans. Waiting staff walked around the room with trays of cocktails, handing them out to refresh the guests and start the evening service. 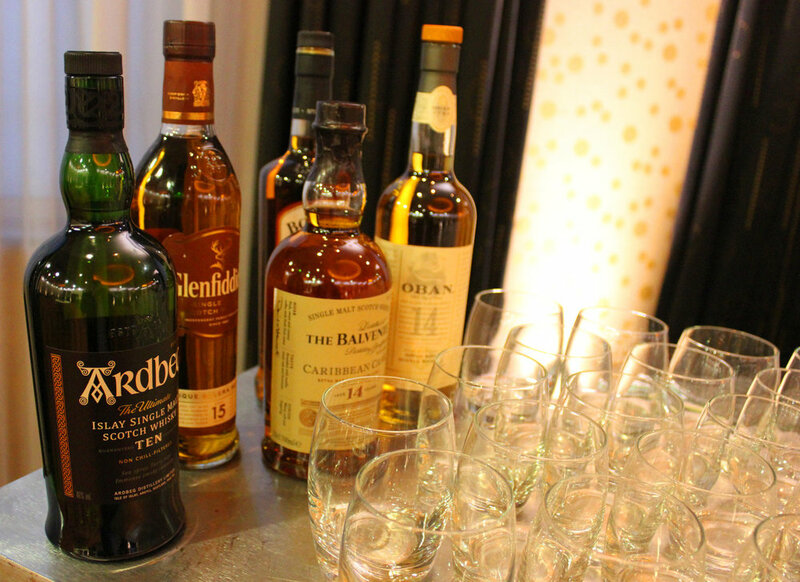 We also had a selection of premium Whiskeys available throughout the day for guests to enjoy. After the drinks reception guests moved into the main room where Red wine, White wine and Sparkling water was served on the tables. Each table had a designated waiter/waitress to take drink orders with the full cocktail menu from the drinks reception violable to order as table service. In the main room we had three curved silver mirror bars serving cocktails, spirit mixers, wine and bottled water. 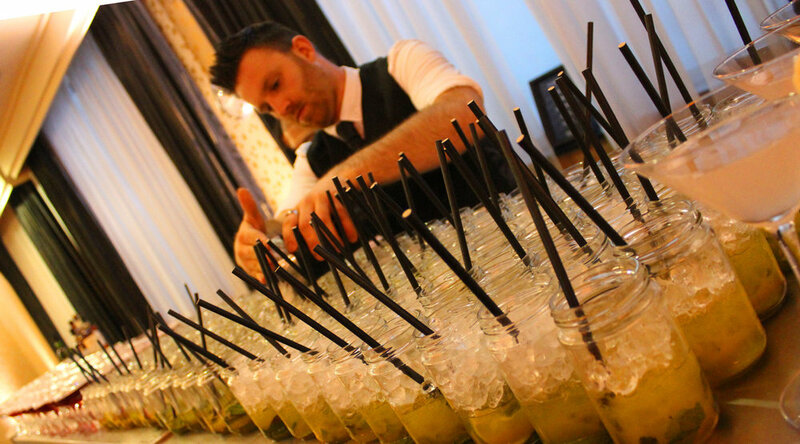 We really enjoyed every second of Sunday so much, and the drinks service was an important element of the day. I know that a lot of our guests commented on the cocktails and tried a good variety of them - we've also had compliments about the whisky selection and other drinks! We were completely happy with the service that you provided, and I would have no hesitation in recommending you to anybody.